The Homes for All Who Served initiative launched last year with the ambitious goal of housing all homeless veterans in Kitsap County by Nov. 11, 2016. More than 80 former service members have been housed since the program started, but more needs to be done to meet the Veterans Day deadline, according to a county news release. In an effort to find more potential homes for veterans, Kitsap Community Resources will host an information fair for landlords next week. The fair is scheduled for 10 a.m. to noon July 22 at 1201 Park Street in Bremerton. The event will include information on fair housing laws, housing subsidies, tenant programs that support veterans, and how to participate in ending veteran homelessness. 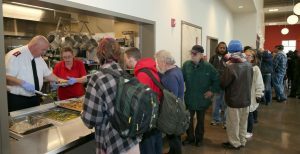 “Landlords are key partners in providing rental units for veterans who are being supported by agencies that provide counseling, job search and financial assistance,” Bremerton Mayor Patty Lent said in the news release. A survey conducted by Homes for All Who Served in the fall of 2015 found 45 veterans living outside. Nearly all of those veterans have either been housed, are in the process of securing housing, or are unable to be contacted, according to the news release. Another survey will be conducted this month. 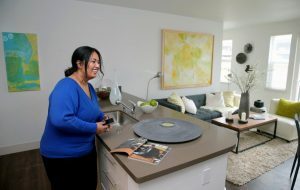 Landlords and property owners interested in the Homes for All Who Served project may contact Jackie Fojtik at the Housing Solutions Center, (360) 473-2035. Average rent for an apartment in Kitsap County climbed to $1,134 in the second quarter of 2016, while vacancies dropped below 4 percent. Average rent per unit was up $57 from the first quarter of the year, marking the largest quarterly increase in the past two years. Rental statistics were provided by Tom Cain of Apartment Insights Washington, who surveys apartment complexes with 50 or more units and tracks industry trends. Average rent in Kitsap was up 12.4 percent in the second quarter of 2016, compared with the same period of 2015. Complexes in the Poulsbo/Bainbridge Island submarket reported both the highest average rent ($1,418) and lowest vacancy rate (2.42 percent) in the county. Silverdale had the highest vacancy rate at 4.19 percent, but the area also saw the largest rent increases in Kitsap in the second quarter. Cain listed job growth, a hot for-sale real estate market, and a lack of apartment construction as factors contributing to low vacancies and steady rent hikes in Kitsap and neighboring counties. “We anticipate that with the rapidly rising rent levels and very low vacancy rates, more developers will be taking notice of Pierce, Kitsap and Thurston Counties,” Cain said in a news release. Developers are moving ahead with plans for a 91-unit apartment complex on Viking Way in Poulsbo. 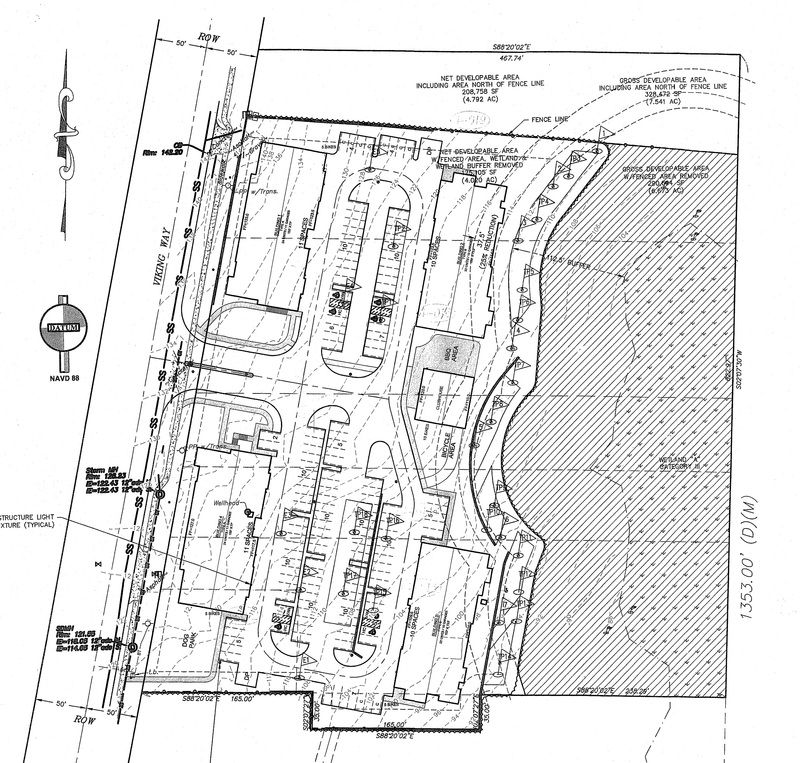 A site plan permit application for “Arendal on Viking” was filed with the city Monday. 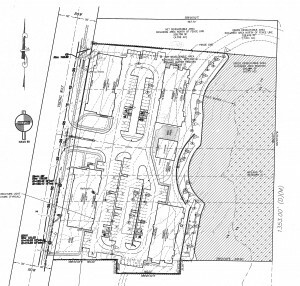 Plans show four apartment buildings spaced across the 7.6 acre property, which lies east of Viking Way, just south of the Highway 305 intersection. The complex will be served by 184 parking spaces, with access off Viking. Planned amenities include a clubhouse, barbecue area, bicycle storage and a dog park. According to the notice of application, there is a category 3 wetland on the property, and the developer is proposing a 25 percent buffer reduction. The applicant is Viking Avenue Properties, LLC., headed by Kelly Clark of Kingston. Public comments on the project will be taken through April 5, and can be sent to 200 NE Moe Street, Poulsbo, WA 98370 or plan&econ@cityofpoulsbo.com. Plans can be viewed at City Hall. Rent for apartments in Kitsap surged 15.4 percent in 2015, according to Tom Cain of Apartment Insights Washington. The average rent per apartment unit in the county was $1,071 in the fourth quarter of 2015, an increase of $143 from the same period of 2014. Apartment vacancies eased slightly to 3.44 percent in the fourth quarter. Vacancies are still much lower than in years past. 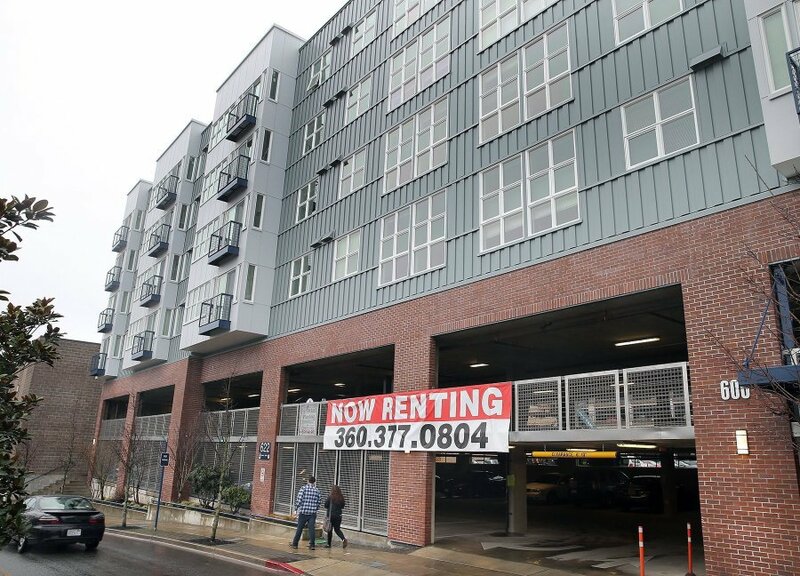 The market was tightest in Bremerton, where about 2.64 percent of apartments were vacant. About 4.12 percent were available in the Bainbridge Island/Poulsbo submarket. Apartment Insights collects its numbers by surveying apartment complexes with 50 or more units. NOTE: A reader asked me to better define what the term “unit.” In this case it refers to any apartment, regardless of the number of bedrooms. The average per-unit rent is simply the average rent for all apartments in the area. Prospective homebuyers in Kitsap County have fewer options this fall, as the number of available houses continues to plunge. Apartment hunters face a similar challenge. Vacancy rates at Kitsap’s large apartment complexes remained very low in the third quarter of 2015, with 3.23 percent of units available (see graphic below). Port Orchard was the tightest submarket in the county, reporting a vacancy rate of 3.06 percent, according to Tom Cain of Apartment Insights Washington. 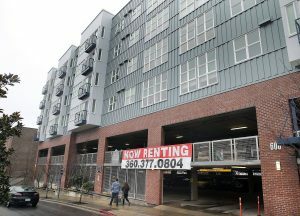 Kitsap’s apartment vacancy rate is lower than rates for King/Snohomish, Pierce and Thurston county markets. Apartment rents continued to creep up in the third quarter, reaching reaching $1,058 per unit in Kitsap. Rents increased 14.5 percent in the past year. Apartments in Kitsap remain significantly cheaper than in King/Snohomish but more expensive than in Pierce or Thurston. As with the real estate market, new construction should eventually help ease the squeeze. Several apartment projects are underway in Bremerton. Pre-leasing has begun for the 71-unit 606 Apartments on Burwell Street, scheduled to open Dec. 1, according to a Facebook post. Apartment vacancy rates steadied at about 4 percent in Kitsap County in 2014, while rents continued to creep up. Kitsap apartment hunters found slightly higher prices in the third quarter of 2013. The average rent for units in large apartment complexes rose by $6 from the second quarter of the year, according to Tom Cain of Apartment Insights. The average rent per unit was $924 a month in the third quarter, or $1.09 per square foot, 1.4 percent from a year ago. Meanwhile the vacancy rate in Kitsap increased to 4.48 percent, still significantly lower than last year. The lowest vacancy rates were in Silverdale, at about 3.7 percent. Bremerton had the highest at more than 5 percent. Cain noted the apartment market is strong from the perspective of landlords in Kitsap, Pierce and Thurston counties, with low vacancy rates and rent trending upward. 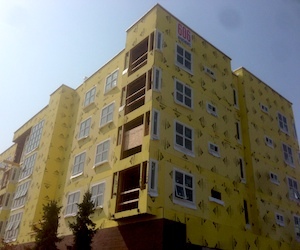 About 1,800 units are under construction in the three county area, but nearly all are being built in Pierce county. Demand is increasing and rents are rising for apartments in Kitsap County. Vacancies rates in large Kitsap apartment complexes (50 or more units) fell to 4.03 percent in the second quarter of 2014, according to Apartment Insights Washington. That was down from 4.54 percent in the first quarter of 2014, 9.73 percent in the second quarter of 2013. The lowest vacancy rate for Kitsap was in Port Orchard, at 3.13 percent. Poulsbo/Bainbridge Island’s 4.84 percent rate was the highest. Rents ticked up as vacancies declined. 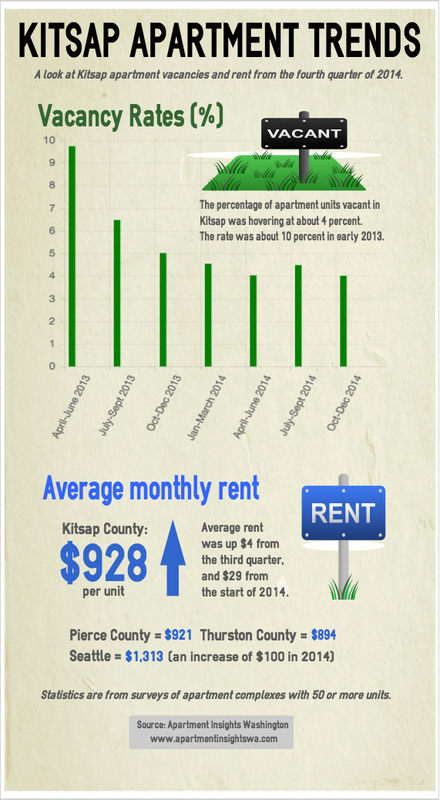 The average apartment rent in Kitsap was $918 per month in the second quarter of 2014, a $19 increase from the previous quarter. The increase in Kitsap was in step with South Sound counties. Rents in Kitsap, Pierce and Thurston counties together were up 2.5 percent in the second quarter and 4.5 percent on the year. Rising demand for rentals is good news for apartment complex owners and developers. In South Kitsap, The Sidney development has added a substantial number of rental units in the past year. 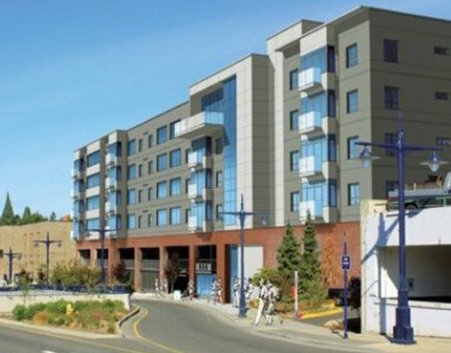 A new complex is also on the horizon, both literally and figuratively, in Bremerton.